Location, location, location! Charming beach home with recently renovated pool on a massive lot with only one neighbor. 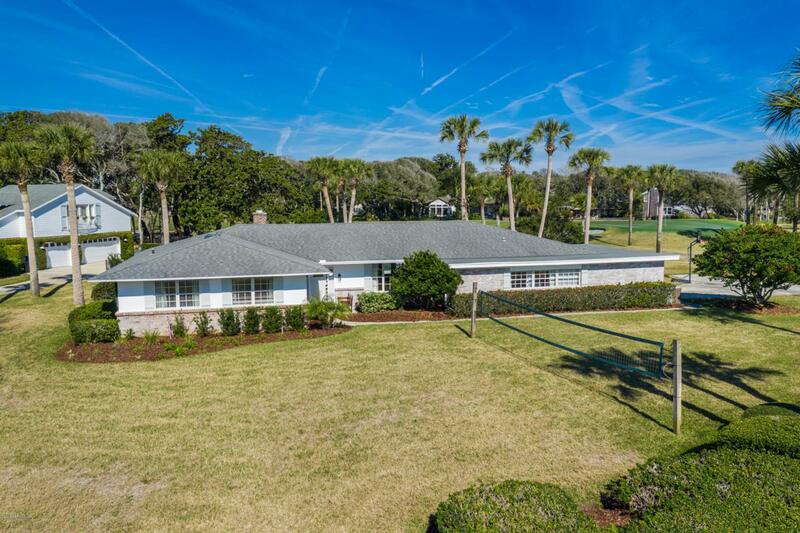 This home is on the quiet north end of San Juan Drive/Old Ponte Vedra Beach. Super close to beach access and the 5-Diamond Ponte Vedra Inn & Club. Avoid A1A and hop onto Butler Blvd in less than 5 minutes. The renovated home has beautifully updated baths and a classic white kitchen overlooking the golf course. Preferred Membership Initiation Fee pricing for the clubs of Gate Hospitality - Ponte Vedra Inn & Club, The Lodge & Club, Epping Forest & The River Club etc- is available to the purchaser(s) of this property.